New Year, New Me: a cliche tagline that has most people already nosediving straight back to their old habits by the second or third week of January. This new year, the penultimate year of what I believe is the worst presidency of all time, I pledged myself to sustainability and reducing makeup waste. In that vein, I officially put an embargo on all makeup products and am currently still very much clean. Fortunately for me, the newest releases aren’t really what I’d consider covetable. So I present to you: the Pizza Palette. This palette seems to be the favorite child of Glamlite, a small online brand that is currently growing in popularity. Retailing for $40, the Pizza Palette boasts its cruelty-free, vegan, and allergy-tested status while also providing a unique space for artistry in the world of quite square and rectangle beauty products. Compared to a palettes around that price range (think Anastasia, HUDA Beauty, etc. ), the Pizza Palette is marginally cheaper and lands a little massive on palette size. The palette contains 18 shadows, with shades that range from your normal warm-tone shades to absurdly green shades inspired by produce items that often don pizza orders. 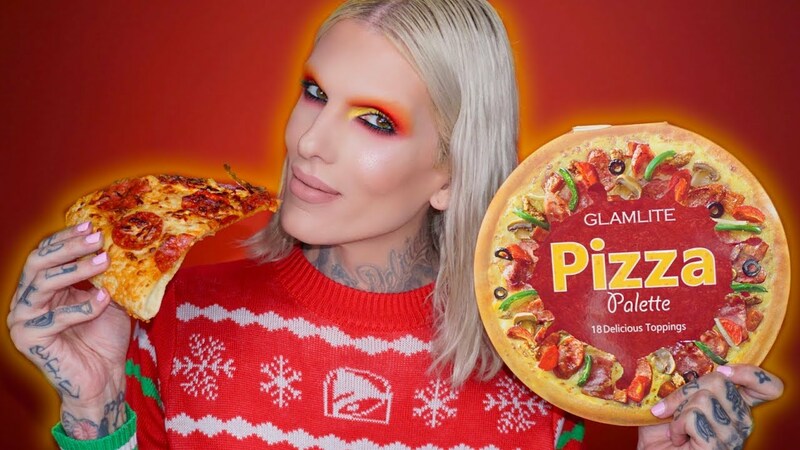 I certainly applaud Glamlite for its attempt to appeal to the lackadaisical millennials who constantly mention their unending love for pizza and eyeshadow, but I’m not entirely sure the idea was so great in execution. Just by the looks of it, the color story is all over the place and seems a little too experimental for someone like me. Despite its questionable take on aesthetic boldness, many reviews of Glamlite’s palette fawn over this product’s intense pigmentation and impressive coverage, so it looks like the product is well worth the hype–even Jeffree Star has given this product his stamp of approval! Will you be ordering this pizza? Mar 18 Another Unicorn-Themed Makeup Release?